The mobile revolution is finally here. The evidence of mobile penetration and adoption is irrefutable: smartphones, personal digital assistants (PDAs), portable game devices, portable media players, MP3 and MP4 players, tablet PCs, and laptops abound and can be found everywhere. Also, the increasing availability of high-bandwidth network infrastructures and advances in wireless technologies have opened up new accessibility opportunities (Kinshuk, 2003). No demographic is immune from this phenomenon. People from all walks of life and in all age groups are increasingly connected and communicate electronically with each other nearly everywhere they go (Wagner, 2005). The development of and adoption rate of mobile technologies are advancing rapidly on a global scale (Brown, 2005). 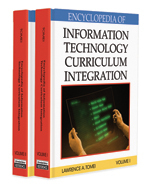 Since 2000, there is considerable interest from educators and technical developers in exploiting the universal appeal and unique capabilities of mobile technologies for the use in education and training settings (Naismith, Lonsdale, Vavoula, & Sharples, 2004). Multimedia Messaging System (MMS): The successor to SMS. MMS allows subscribers to send multimedia (digital photos, audio, and video) material along with their messages. WiMAX: A standard based on IEEE 802.16. WiMax offers mobile devices with a wireless, direct connection to the Internet at the speeds of up to 75 megabits per second and over distances of several kilometers. 3G: Third-generation mobile telephone technology. The 3G services provide the ability to transfer both voice data and non-voice data (music, videos, e-mail, and instant messaging) at the speed of up to two megabits per second. 4G: Fourth-generation mobile telephone technology. It is not yet available. 4G will be the successor to 3G and will feature high-speed mobile wireless access with a data transmission speed of up to 100 megabits per second. Smartphone: Smartphones are a hybrid of the functionality of PDAs and mobile phones. They usually provide a means of connecting to a desktop or laptop to perform the same functions as a PDA docking and synchronization cradle. General Packet Radio Service (GPRS): A mobile data service available to users of GSM mobile phones. It is often described as “2.5G,” a technology between the second generation (2G) and third generation (3G) of mobile telephony. It provides moderate speed data transfer, “always on” data connections that are much faster than the traditional 9600 bps, by using unused TDMA channels in the GSM network. Short Message Service: ( SMS ): A digital mobile phone service that allows single short messages of up to 160 characters to be passed between mobile phones, fax machines, or e-mail addresses. M-Learning: A term that refers to the delivery of learning content via mobile devices including PDAs, cell phones, or other handheld devices. It allows users to learn what they want, where they want, and when they want.